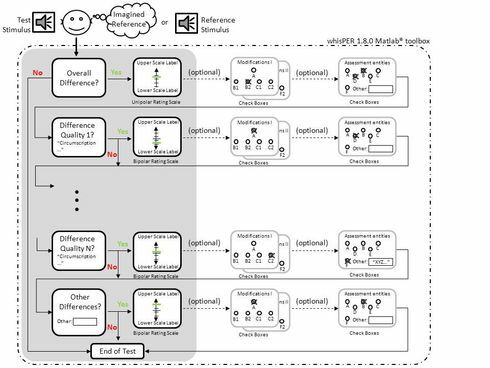 The perceptual evaluation of virtual acoustic environments may be based on overall criteria such as plausibility and authenticity or by using catalogues of more detailed auditory qualities as, e.g., loudness, timbre, localization, etc. However, only the latter will be suitable to reveal specific shortcomings of a simulation under test and allow for a directed technical improvement. To this end a common vocabulary of relevant perceptual attributes appears desirable. However, existing vocabularies for the evaluation of sound field synthesis, spatialization technologies and virtual environments were often generated ad hoc by the authors or have focused only on specific perceptual aspects. To overcome these limitations, we have developed a Spatial Audio Quality Inventory (SAQI) for the evaluation of virtual acoustic environments. It is a consensus vocabulary comprising 48 verbal descriptors of perceptual qualities assumed to be of practical relevance when comparing virtual environments to real or imagined references or amongst each other. The vocabulary was generated by a Focus Group of 21 German speaking experts for virtual acoustics. Five additional experts helped verifying the unambiguity of all descriptors and the related explanations. Moreover, an English translation was generated and verified by eight bilingual experts. A French version (SAQI-FR) which was developed in collaboration with the IRCAM institute is currently under final review. A thorough doumentation and detailed practical guidelines (e.g., for test subject training, test customization) are given in the extensive 'SAQI. Test Manual' (currently in version 1.2) which is freely available from http://dx.doi.org/10.14279/depositonce-1.2. For further convenience the German and English versions of the SAQI have been incorporated in the Matlab® listening test environment whisPER v1.9.0 which is freely available from http://dx.doi.org/10.14279/depositonce-31.2. 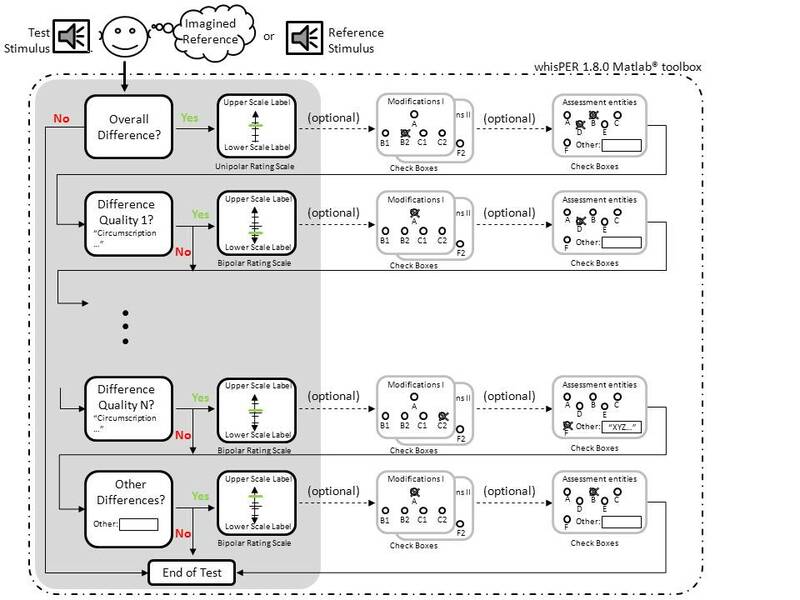 It allows for an easy modification of the questionnaire, e.g., by selecting language, test paradigm (paired comparison or direct assessment), descriptors, and assessment entities or aspects of time variance and interactivity to be asked for (refer also to the 'whisPER User Manual'). Using both standardized software package, and the Test Manual for administration, training and instruction of subjects is supposed to increase objectivity and reliability of tests and is thus strongly recommended. Additional related publications can be found on this page.